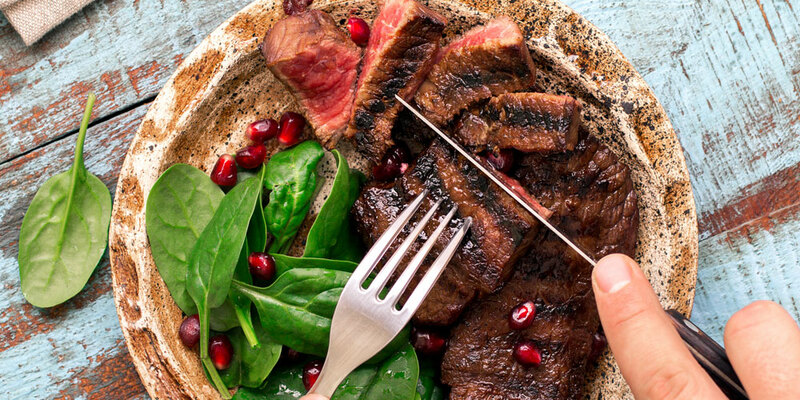 You already know High River Angus brand beef for its exceptional quality, consistency and flavor. Now you can elevate your best beef to the ultimate experience with High River Angus Exclusive. Only the top 16% of all USDA graded beef qualifies as High River Angus Exclusive. Simply put, it’s among the best of the best. From cattle raised on the finest grasslands of America’s heartland, High River Angus Exclusive offers incredible consistency. Superbly marbled, it delivers an exceptional dining experience – meal after meal, cut after cut – at an incomparable value. 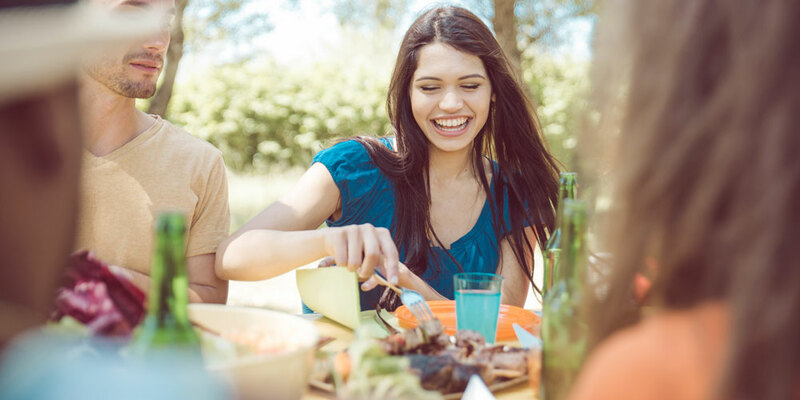 USDA beef quality grades predict the expected eating characteristics of the final cooked beef (the tenderness, juiciness and flavor that we all love). 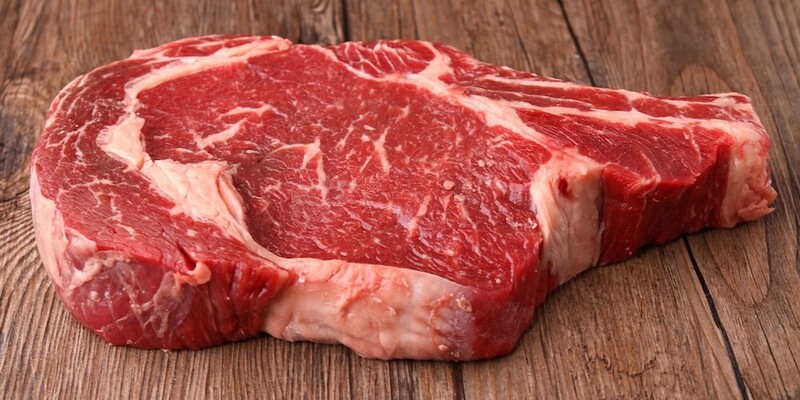 The primary factor in determining the quality grade of beef is the amount of marbling present within the cut. 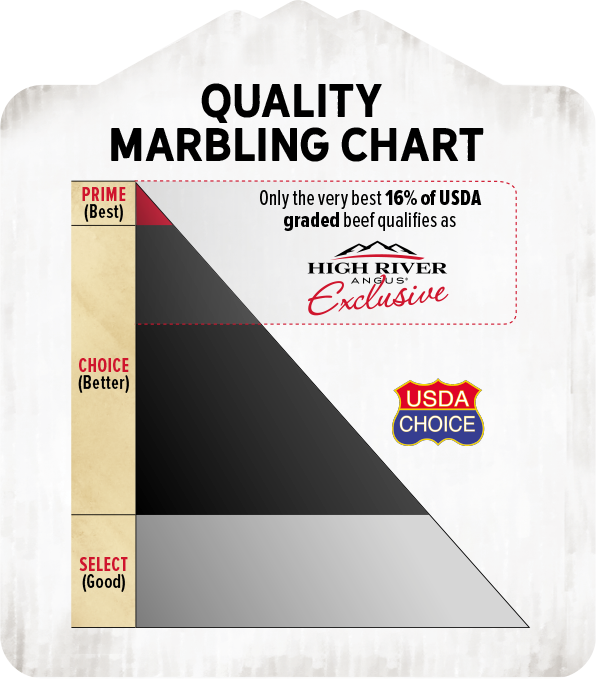 The top three USDA grades are Prime (the most marbling), Choice (moderate marbling), and Select (little or no marbling). Marbling is the fat intermingled within the lean beef muscle and can be seen by looking for the small white flecks within the lean red meat. Marbling is a strong predictor of beef tenderness, flavor and juiciness and improves the overall palatability of beef. The level of marbling varies even within each USDA grade, making further distinctions necessary for top-tier beef brands. How does High River Angus Exclusive Measure Up? Only Angus beef that is graded in the upper 2/3’s of USDA Choice and above qualifies for High River Angus Exclusive. 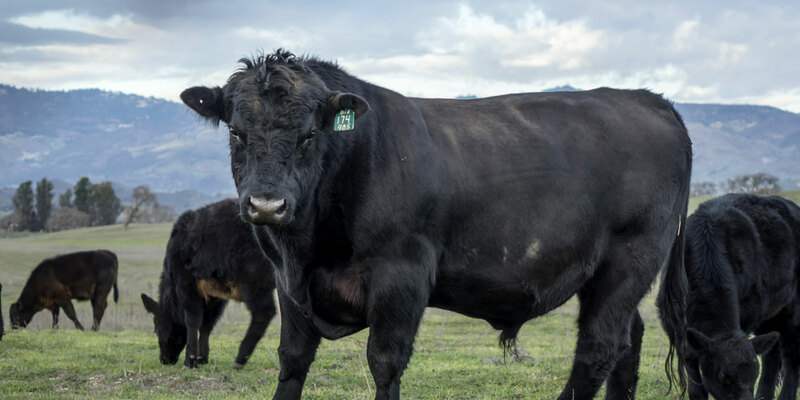 In addition to the USDA’s standards, we also evaluate beef for desirable marbling, youthfulness, superior muscling, and other important attributes. At the end of the day, only the very best 16% of USDA graded beef meets our exclusive quality standards.